Keeping reindeer is quite expensive. Keeping reindeer is quite expensive. 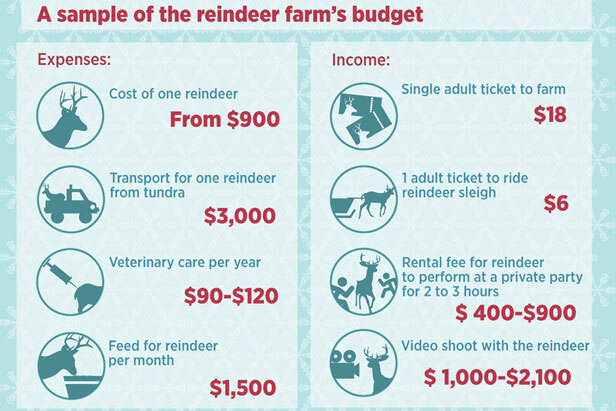 The reindeers' transportation to the Moscow region from tundra costs almost $3,000. Each reindeer must also have a veterinary certificate stating its gender, age, breed, distinguishing marks, past illnesses, and vaccination history. Finally, the animals must be submitted for a veterinary check-up every year. Fodder – including oats, vegetables, and hay – costs at least $1,500 a month.